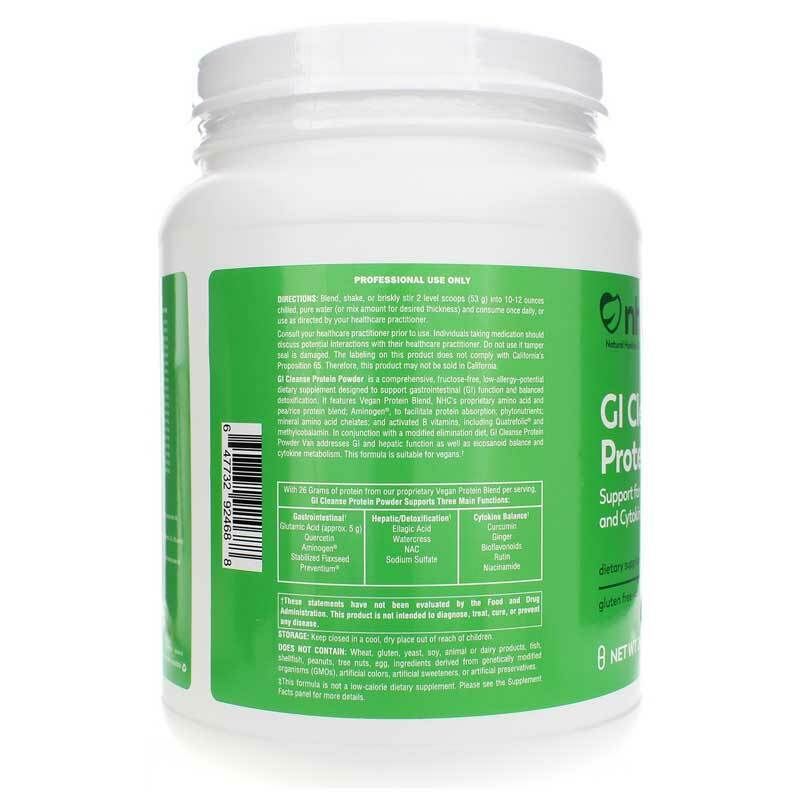 GI Cleanse Protein Powder from Natural Healthy Concepts provides comprehensive support for the detoxification of foreign microbes and environmental toxins, a healthy metabolism, and the absorption of nutrients. 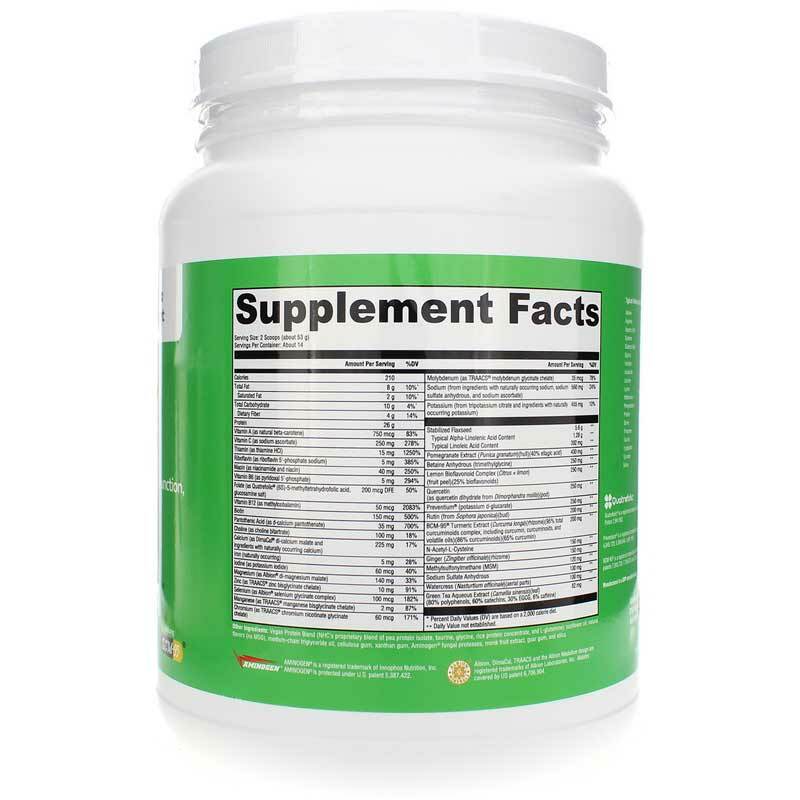 Each serving contains 26 grams of protein, essential vitamins, minerals, and much more! 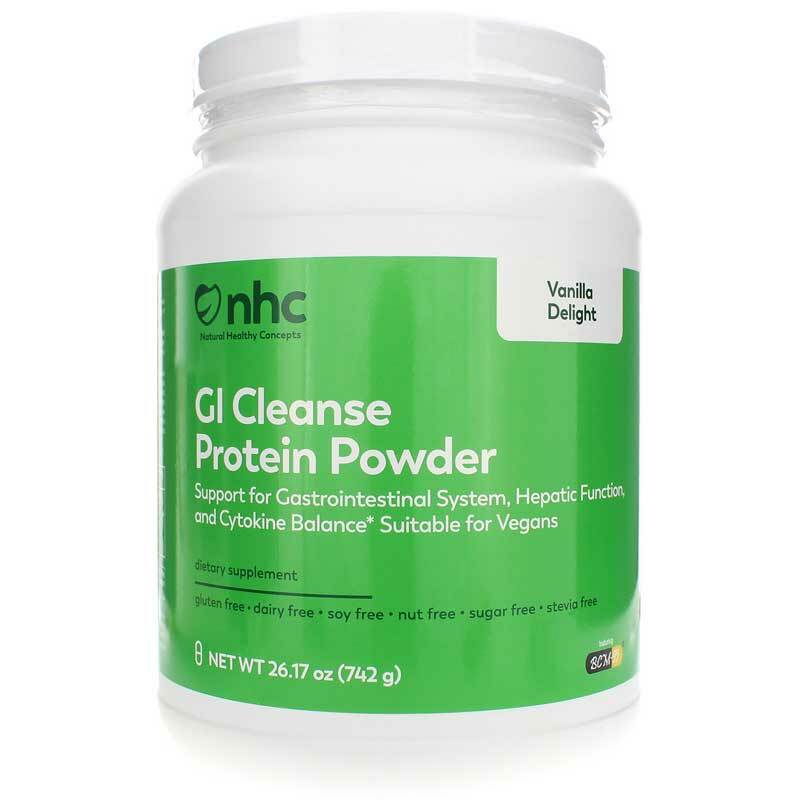 GI Cleanse Protein Powder from Natural Healthy Concepts contains a proprietary pea and rice protein blend with 26 grams of protein per serving, herbal extracts to stimulate the normal production of bile for the normal movement of waste through the body, and a specialized blend of vitamins, minerals, curcumin, and much more to promote the absorption of nutrients, support metabolism, promote abdominal comfort, and the capture of free radical scavenging antioxidants. For people with food sensitivities, this formula is rated as having a low-allergy potential, uses lactose-free vegan protein, and is naturally sweetened with monk fruit extract. Support your digestive system with GI Cleanse Protein Powder and see if it makes a difference in your life! 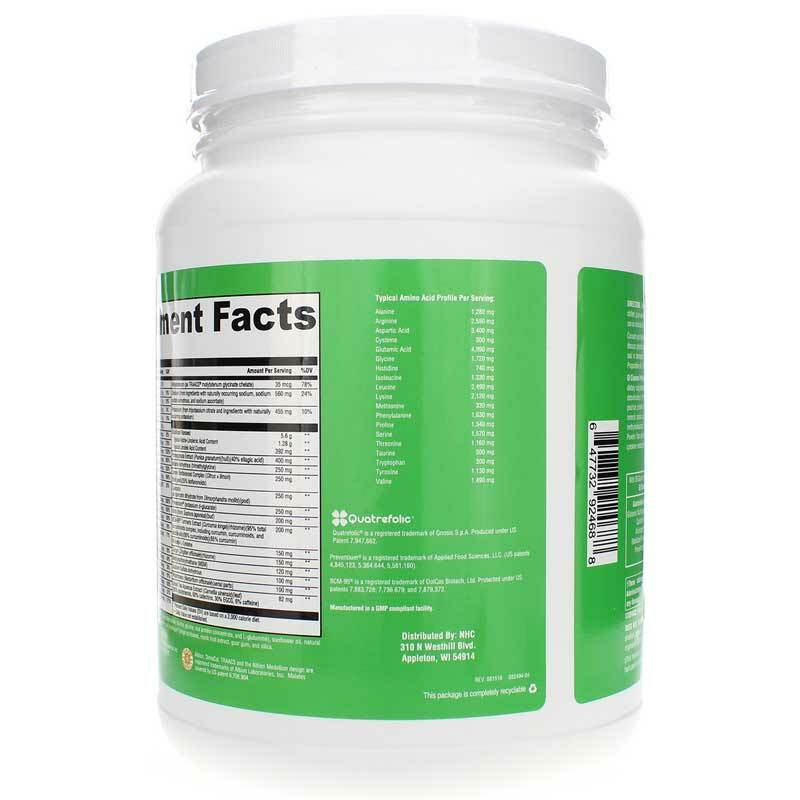 Other Ingredients: Vegan Protein Blend (Natural Healthy Concepts proprietary blend of pea protein concentrate, pea protein isolate, taurine, glycine, rice protein concentrate, and L-glutamine), sunflower oil, natural flavors (no MSG), medium-chain triglyceride oil, cellulose gum, xanthan gum, Aminogen fungal proteases, monk fruit extract, guar gum, and silica. Contains NO: Wheat, gluten, yeast, soy, animal or dairy products, fish, shellfish, peanuts, tree nuts, egg, ingredients derived from genetically modified organisms (GMOs), artificial colors, artificial sweeteners, or artificial preservatives. Adults: Blend, shake, or briskly stir 2 level scoops into 10-12 ounces of chilled, pure water (or mix amount for desired thickness) and consume once daily, or use as directed by your healthcare practitioner. Love the 26 grams of protein! and the 4g of fiber. I felt good on this cleanse - though I have cleansed previously. This was my breakfast and lunch, along with a clean dinner and snack, I really didn't feel hungry. Did not have any intestinal issues either!